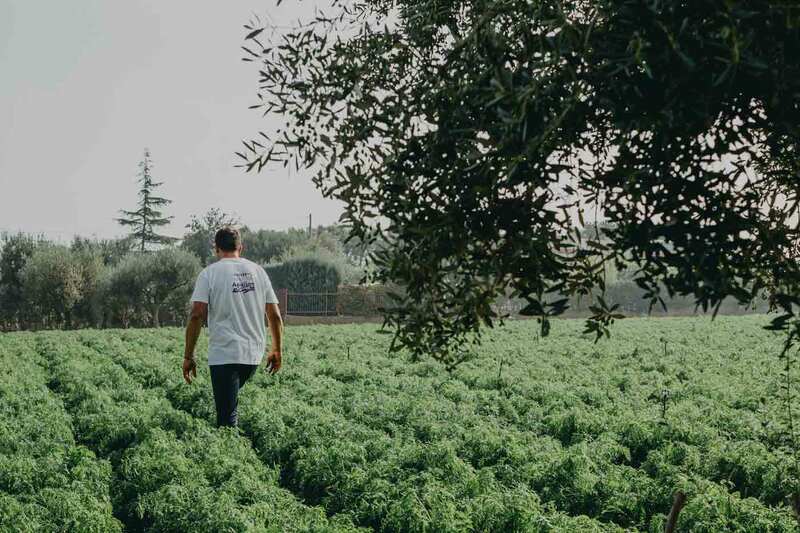 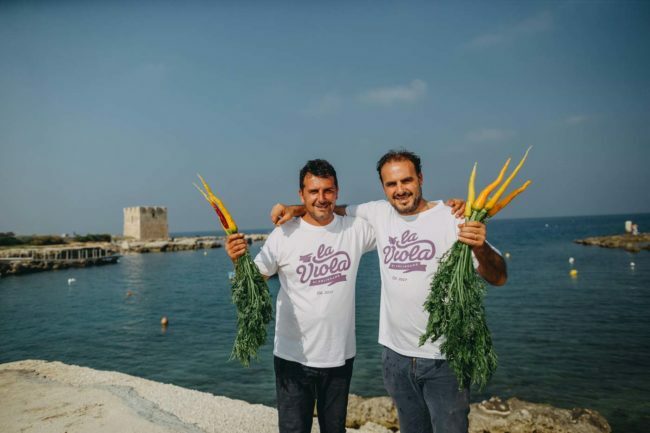 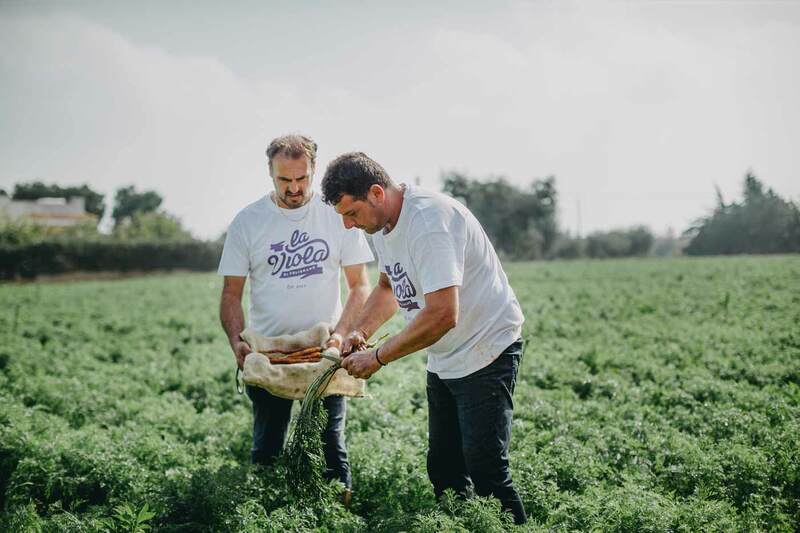 Violet is the colour of memory and humility of the farmers of San Vito in Polignano a Mare, who for decades have dedicated themselves with passion and sacrifice to sowing and harvesting a carrot specific to this region. We present you with a fascinating story, a story about us, our love for Puglia and its rugged, vital and colourful land. 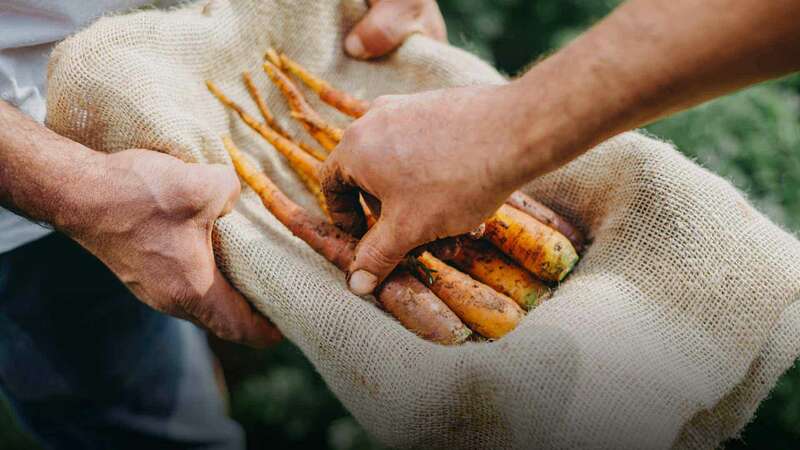 We are continuing a century-old tradition, to retrieve the old farming heritage and the seeds guarded for generations by local peasant families. 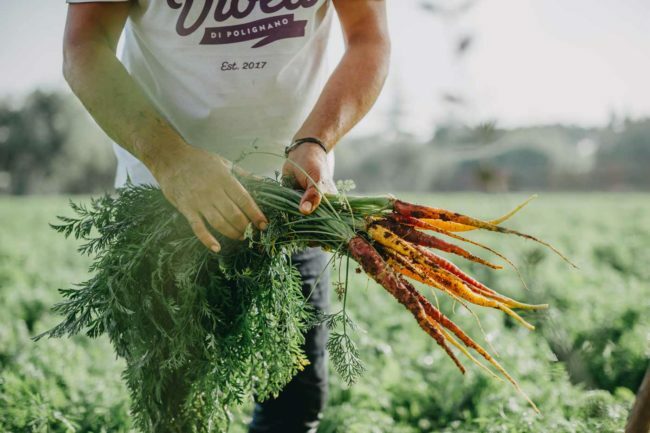 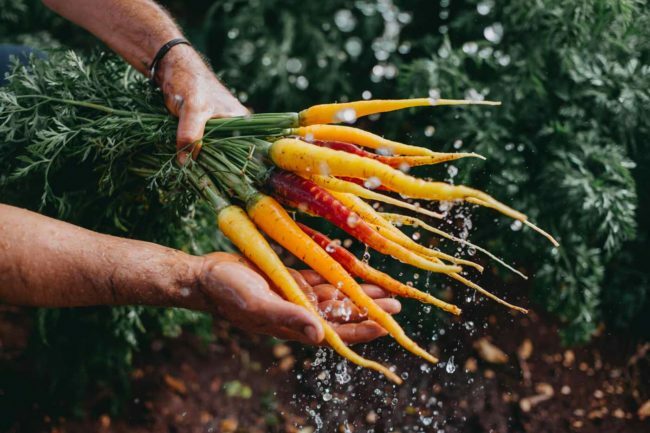 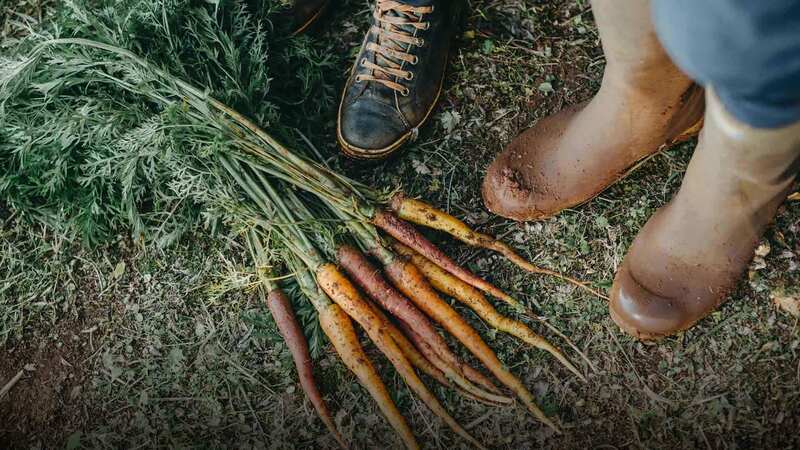 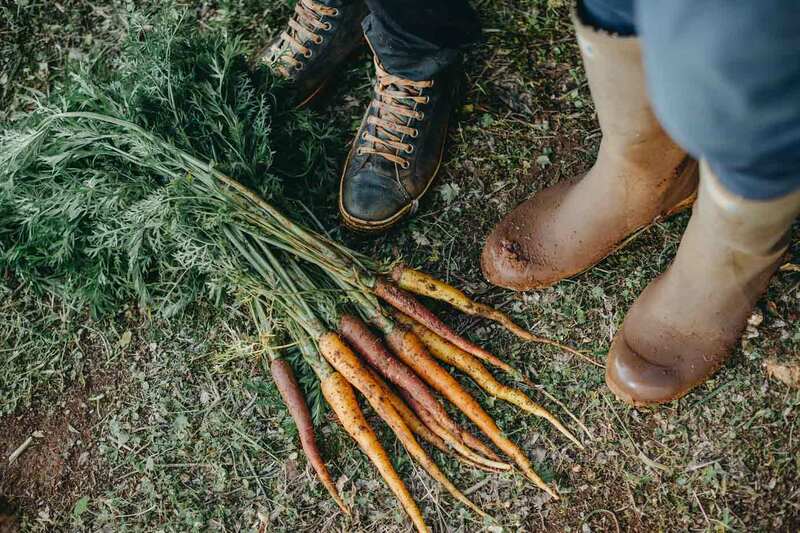 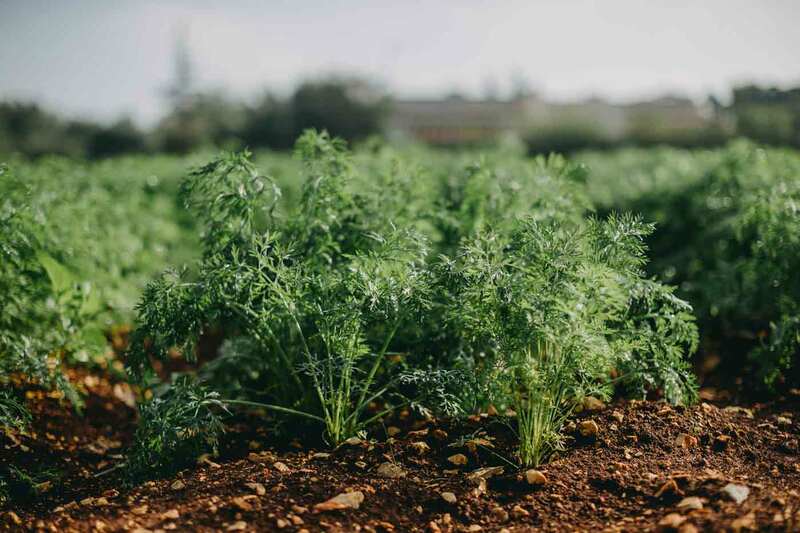 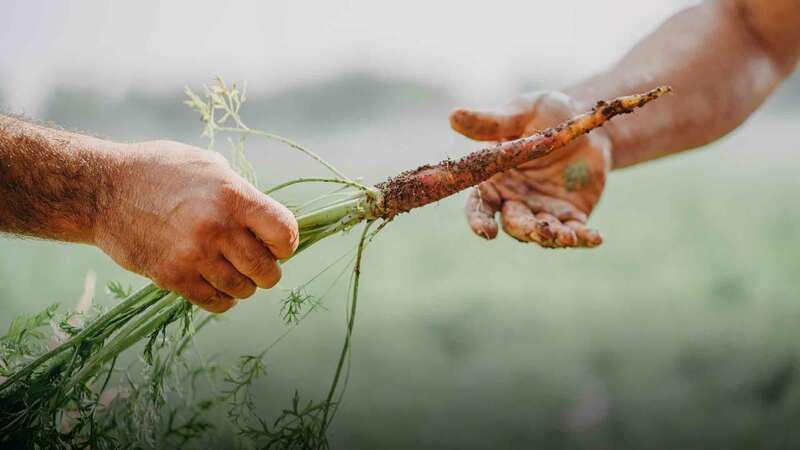 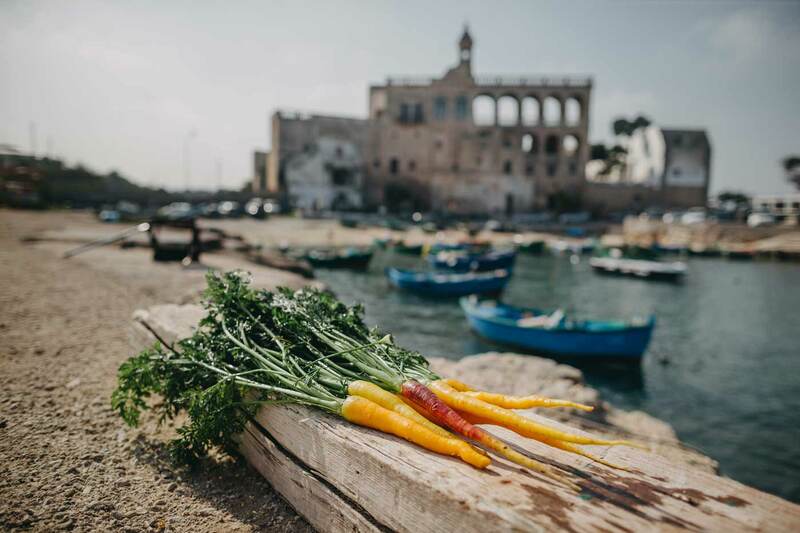 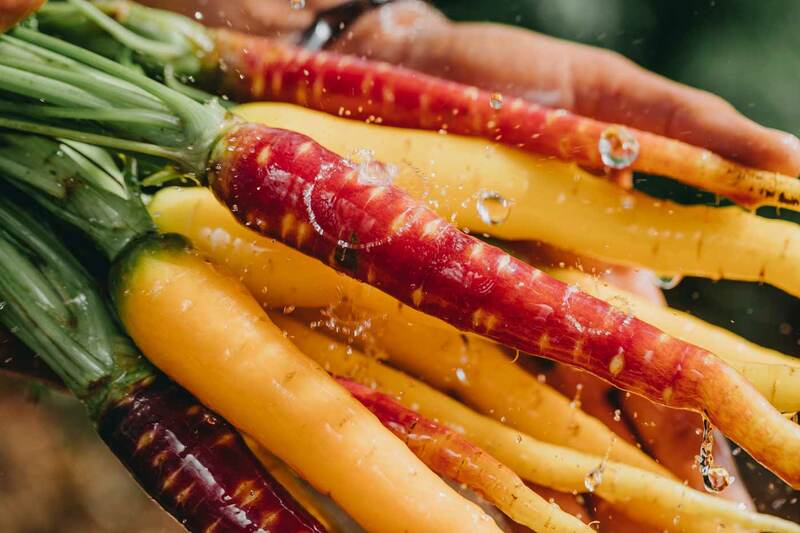 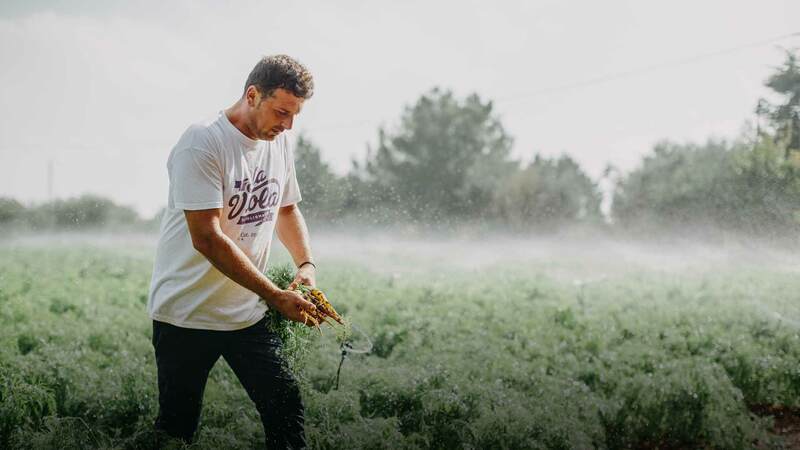 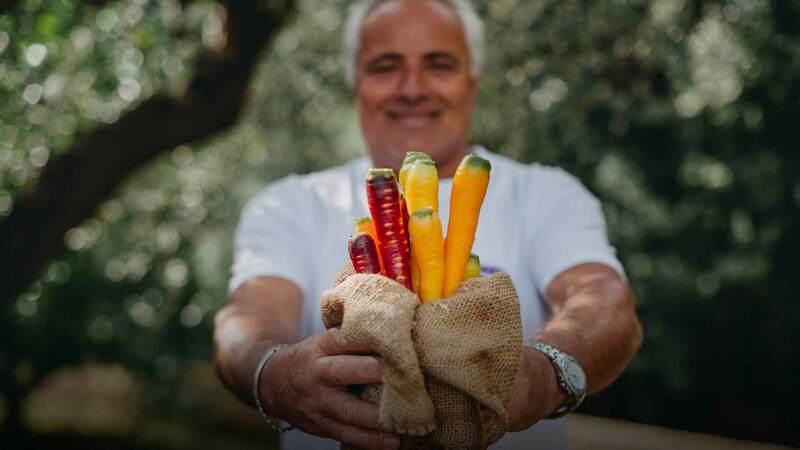 We present to you the story of La Viola, our carrot, which represents all of this and much more. 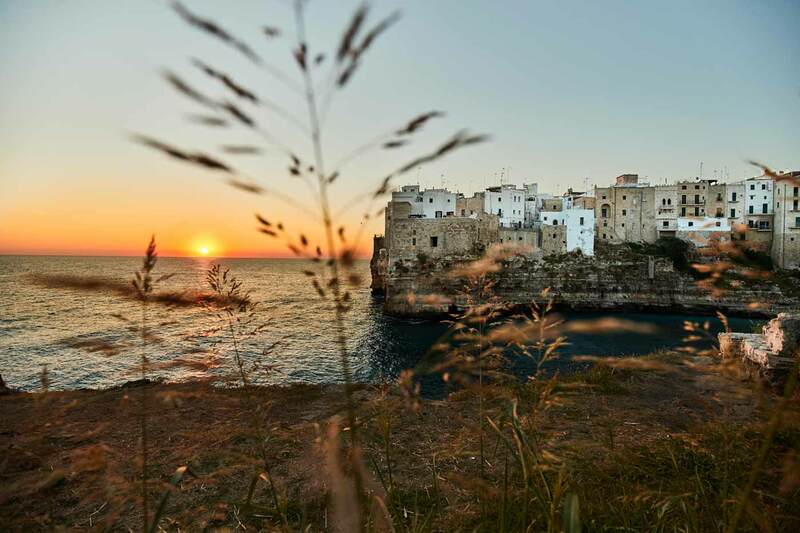 High cliffs, deep reefs, white houses, farms, dry-stone walls, wheat and olive trees; in Polignano a Mare the perfume of the Mediterranean shrubland mixes with the fragrance of the humid and fertile land. 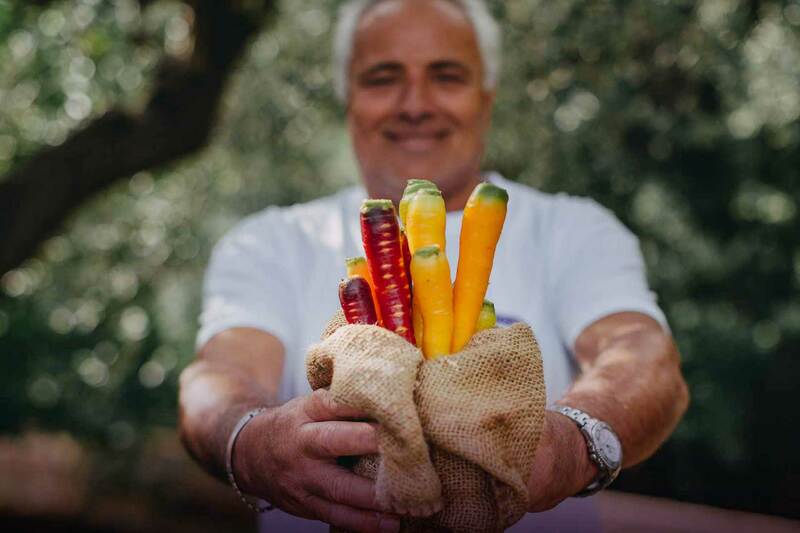 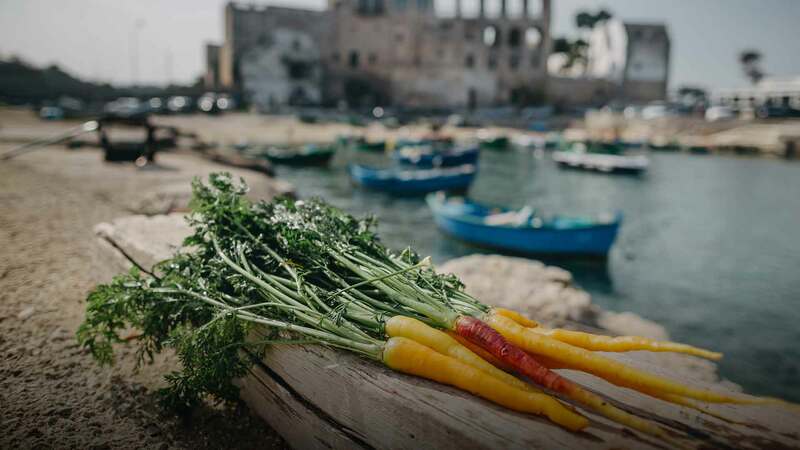 But San Vito, a charming village in Polignano, is the beating heart of La Viola cultivation. 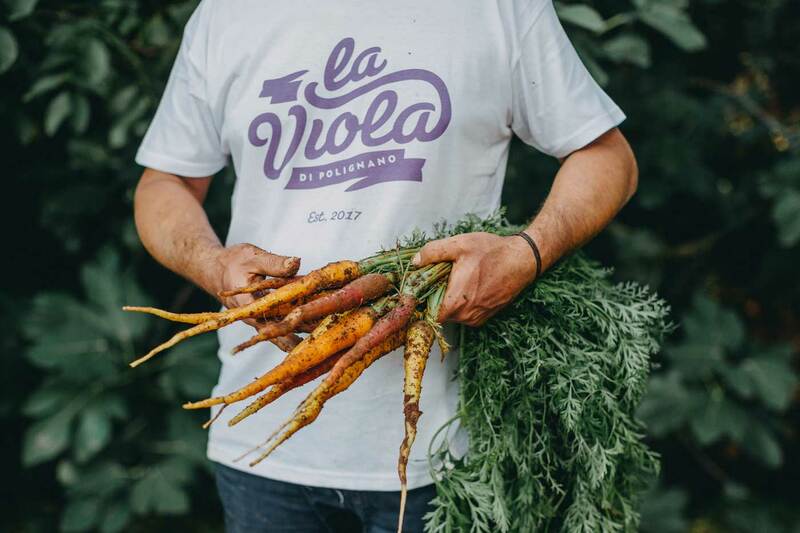 Near the famous Abbey, we grow yellow, purple, red and orange La Viola. 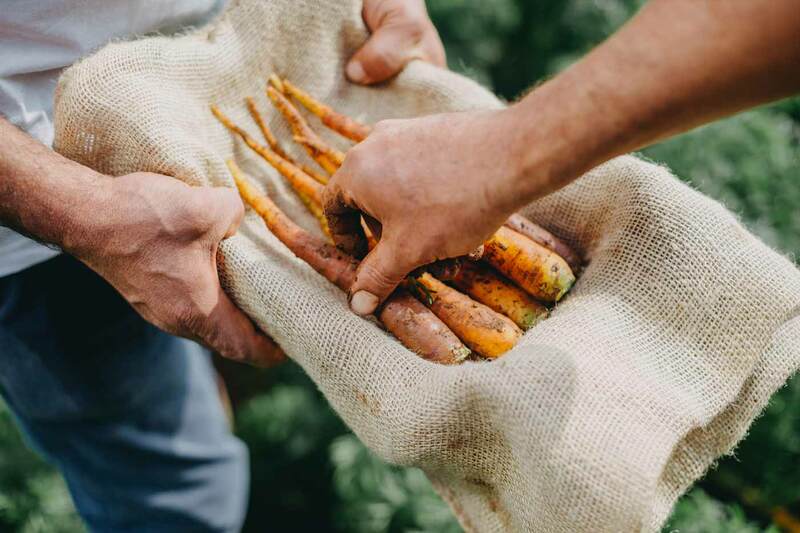 Every year we produce the seeds used for planting the crops, we identify the healthiest and most vigorous plants, making sure we select roots of many different colours. 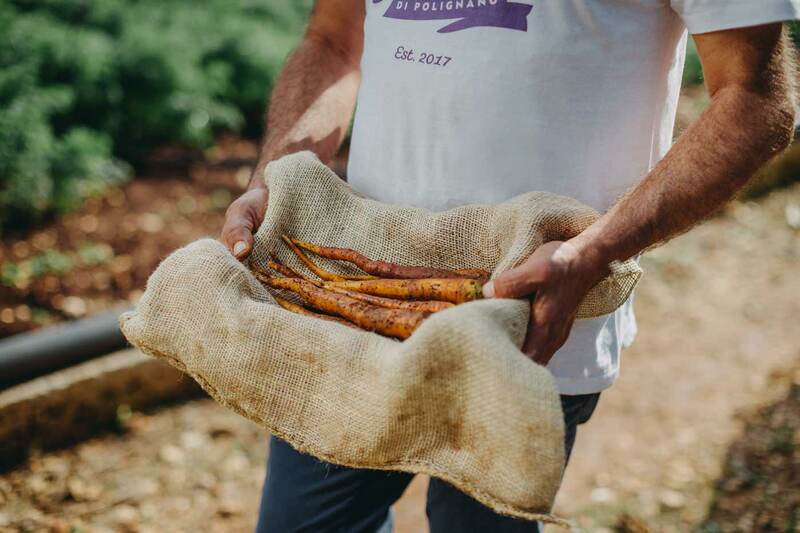 We only choose the best plants each year, we place them at home in small separate plots and select the seeds from the ones most thriving. originated in the Far East, despite it being known to the Greeks and Romans who, above all, appreciated it for its medicinal properties. 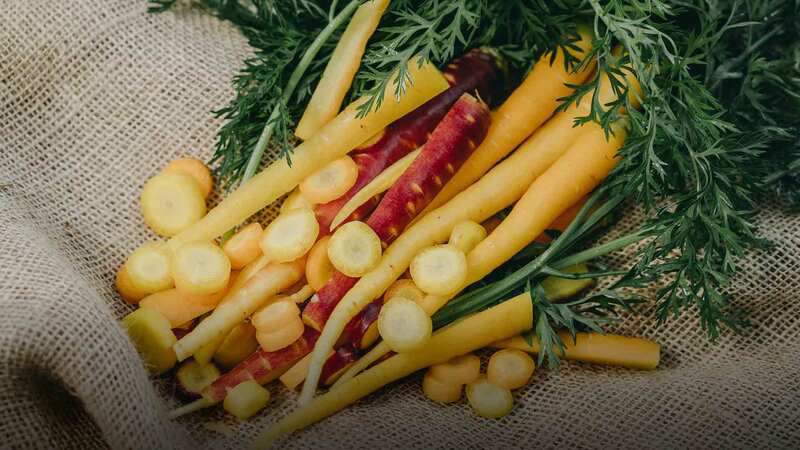 Nowadays La Viola is widely known and appreciated for its nutritional characteristics and for its organoleptic properties, which make it a suitable vegetable for those who want a fibre-rich diet, as well as those who love good food. 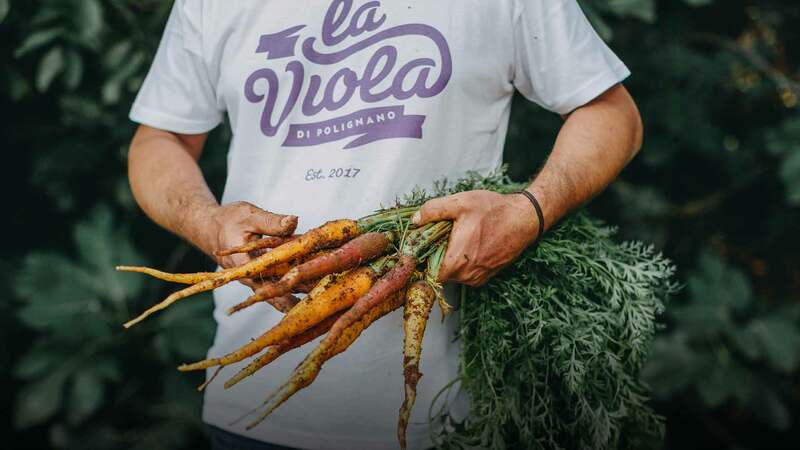 Today, La Viola is grown on approximately 20 ha and in 2011 it was included among the traditional Slow Food products as a leading example of a new model of agriculture, based on quality, on collecting old knowledge and traditional production techniques. 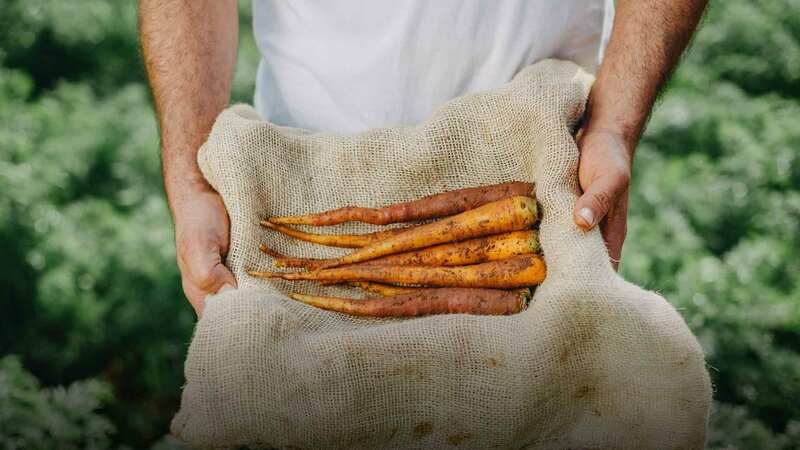 be used for making both sweet (cakes, jams) and savoury (side dishes, pies, pasta dishes) meals. 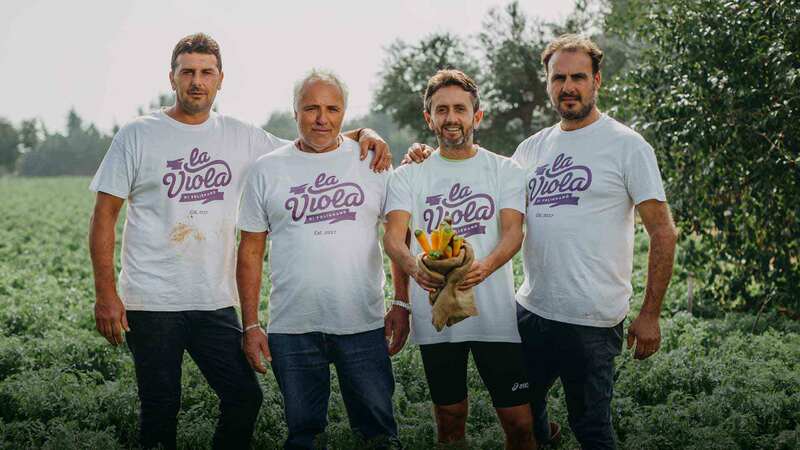 La Viola is planted from mid-August through to the end of September, while the harvest occurs from the first days of December to March-April. The roots vary in length from 15 to 25 cm; the diameter can reach up to 5 cm. 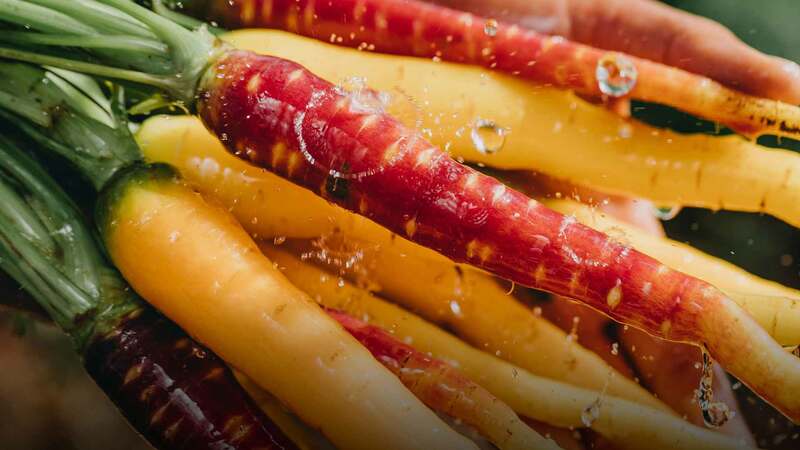 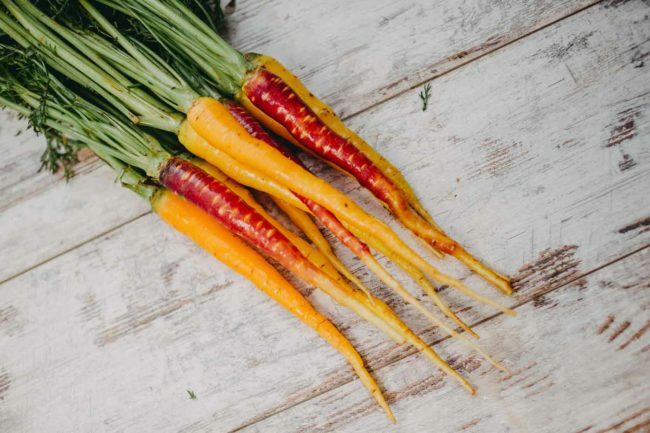 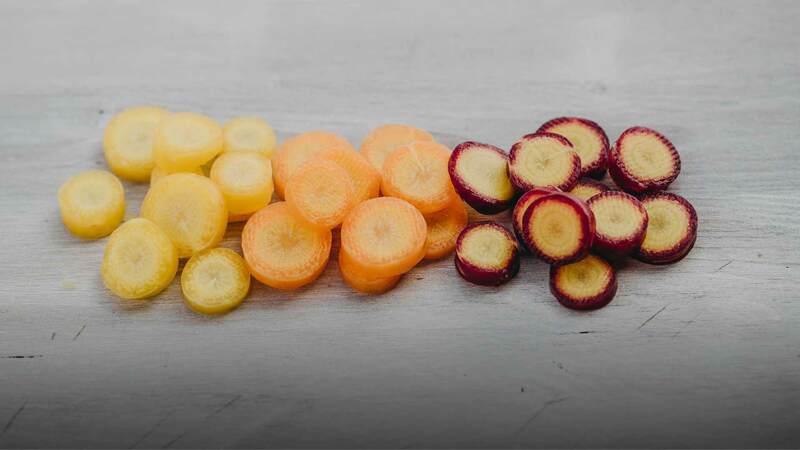 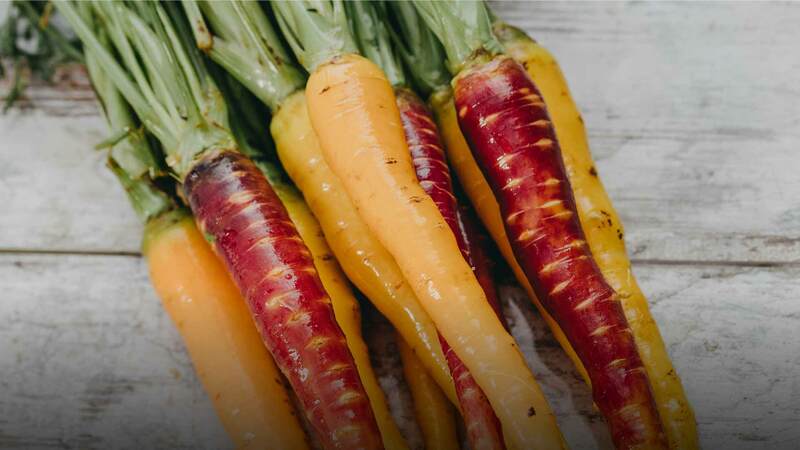 What makes these carrots exceptional, in addition to their variegated colour, lies in their consistency and decidedly original flavour. 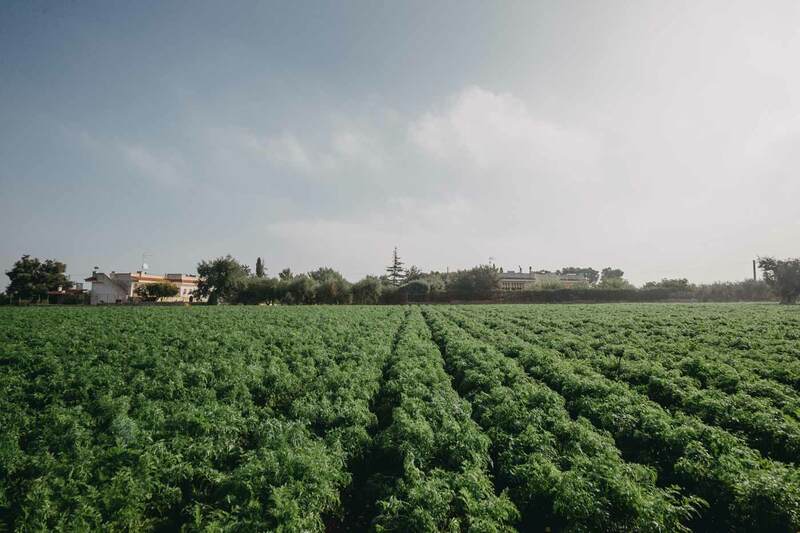 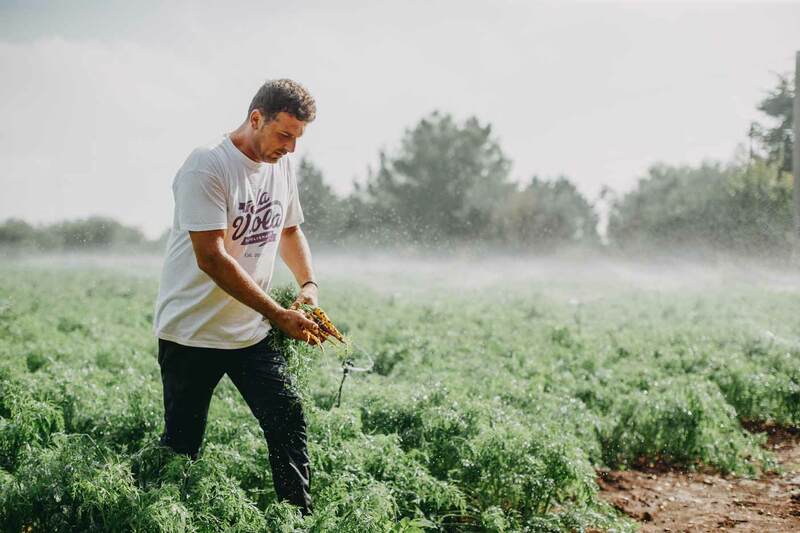 Located just a few meters from the sea, our fields are basically sandy and have a rather high salinity which is enhanced by irrigation with brackish water coming from wells that communicate with the first marine infiltrations. 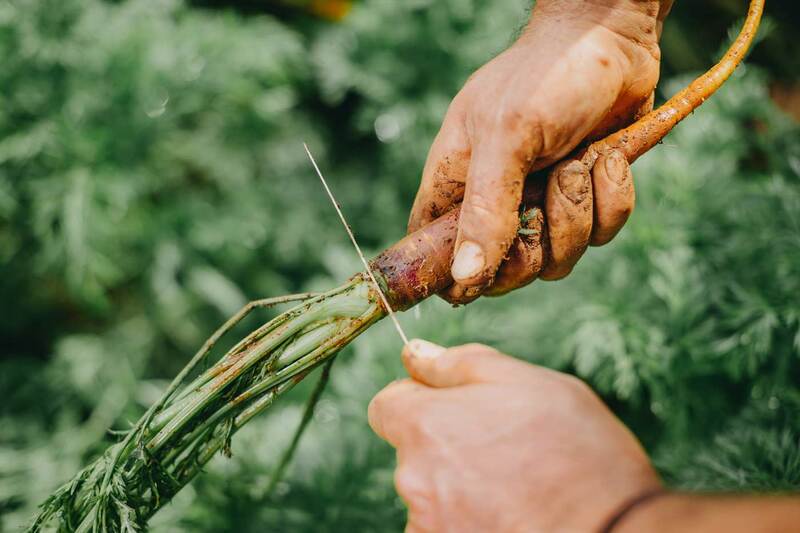 The most difficult and delicate phase of the cultivation process is undoubtedly the harvest, performed manually with the aid of a pitchfork. 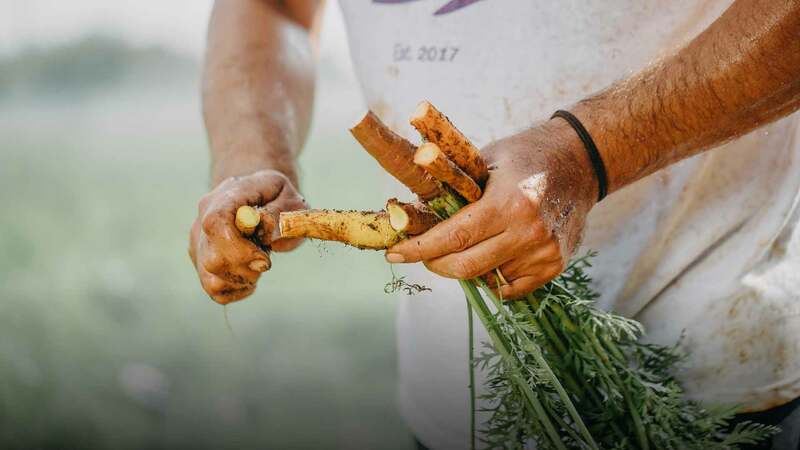 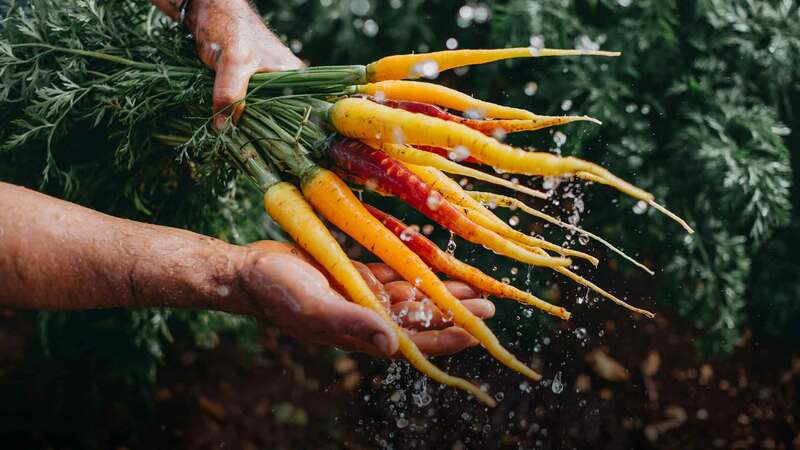 After the harvest, the roots are washed with the same (brackish) water used for irrigation to remove the soil, and are placed in wooden boxes to be put on sale. 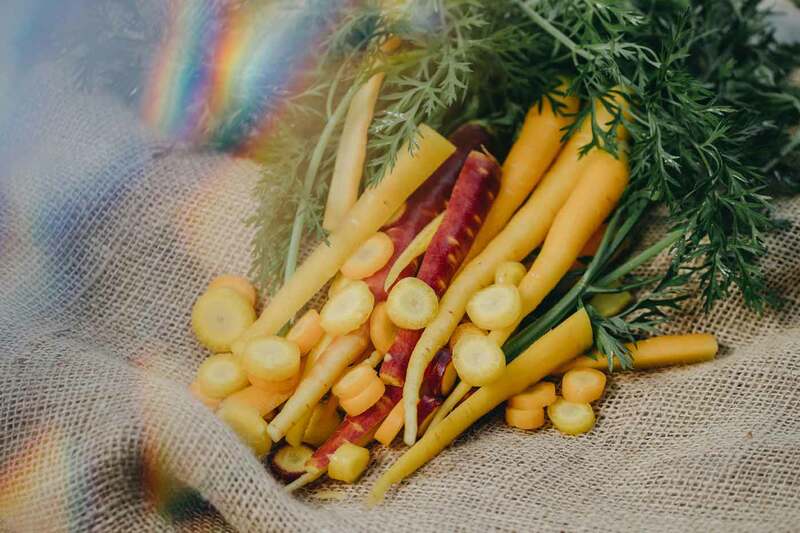 For orders o for more informations, please fill out the form below. 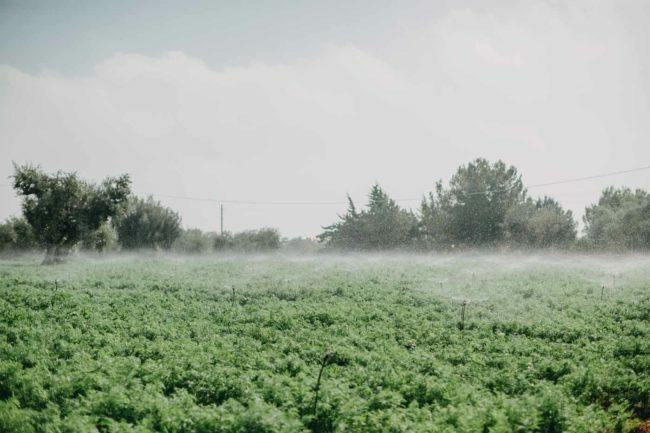 Data are collected and managed in order to make possible the supply relationship based on provisions of multiple legislations, including Art. 13/14 of Regulation (EU) 2016/679 (General Data Protection Regulation).. Before sending data please read the PRIVACY information.